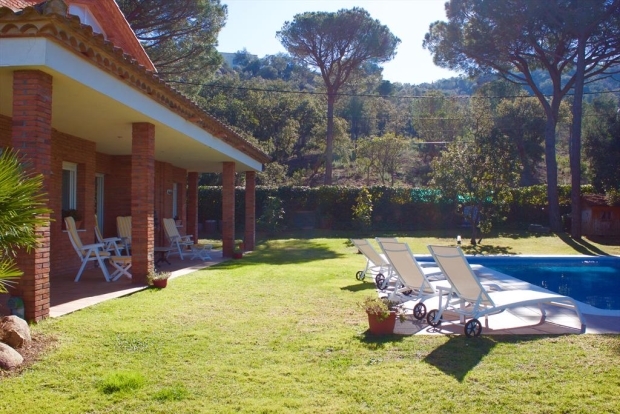 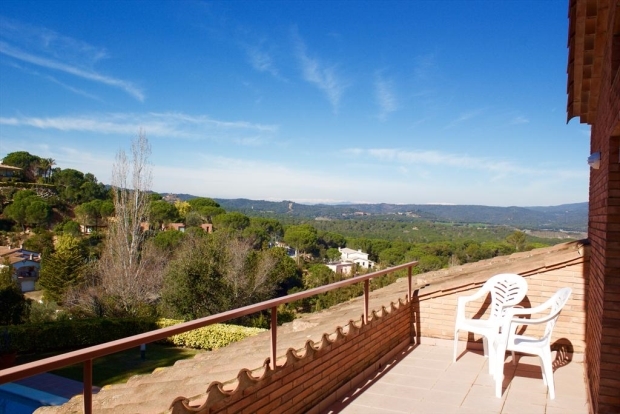 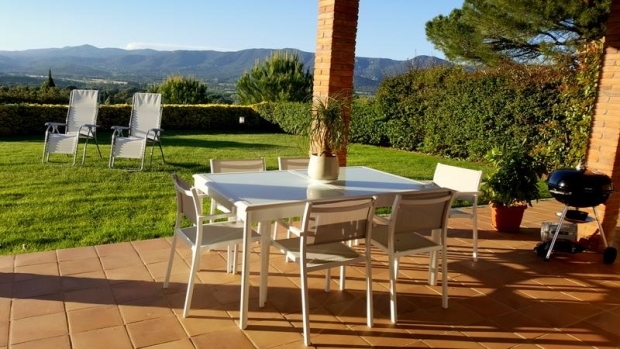 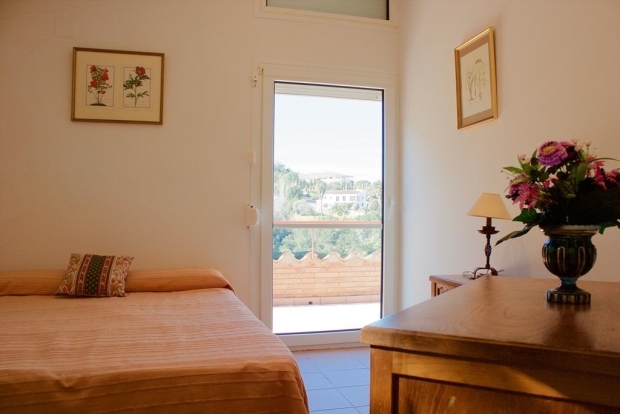 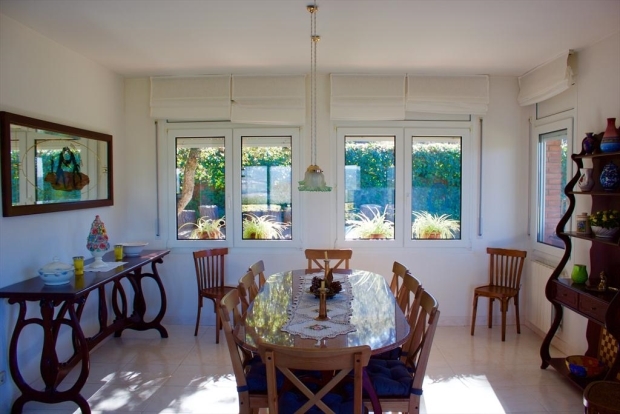 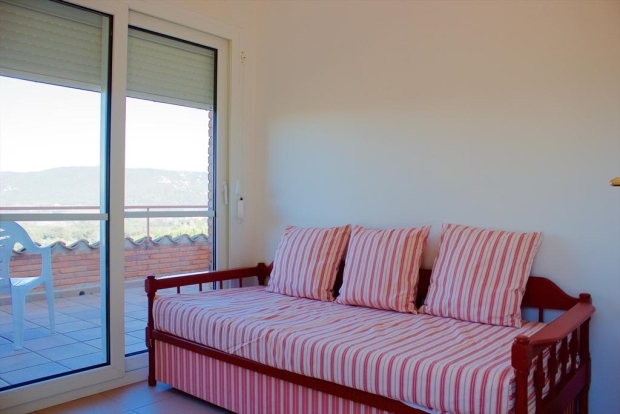 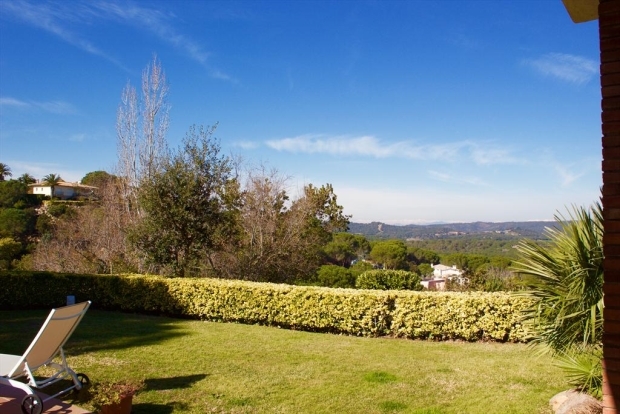 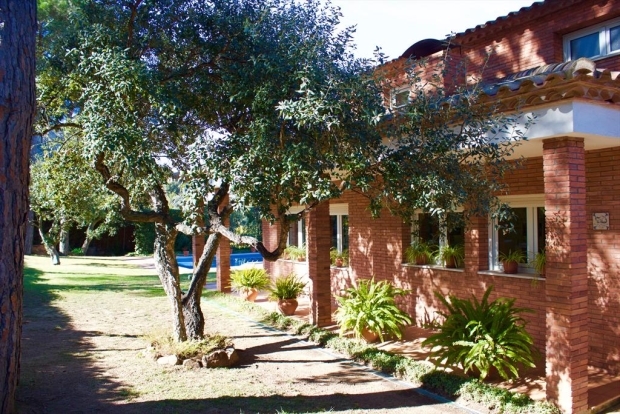 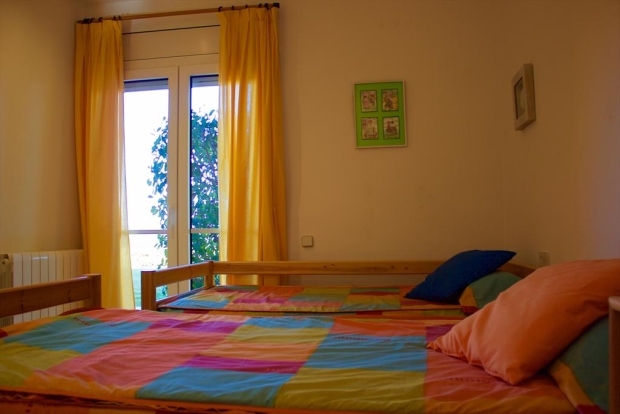 Villa in Santa Cristina d'Aro, Catalonia, Spain with private pool for 12 persons. 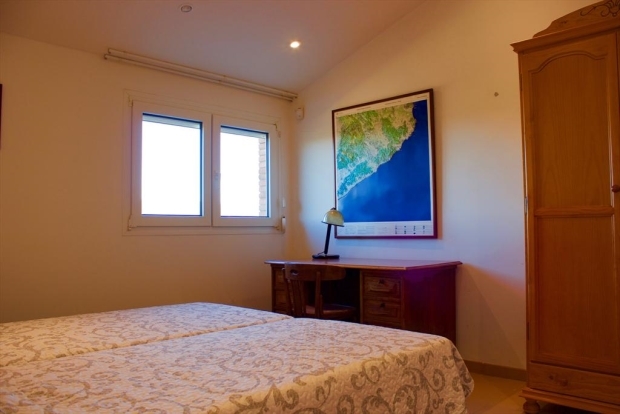 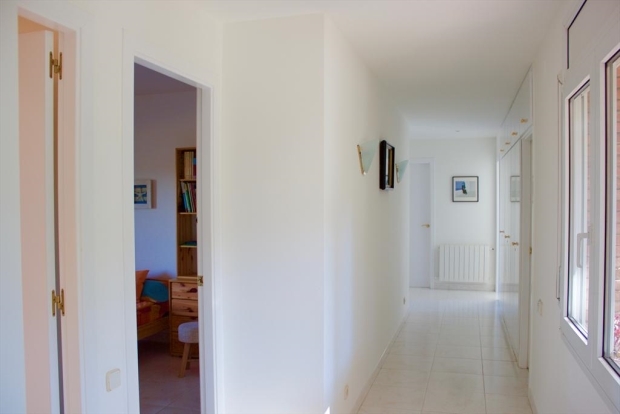 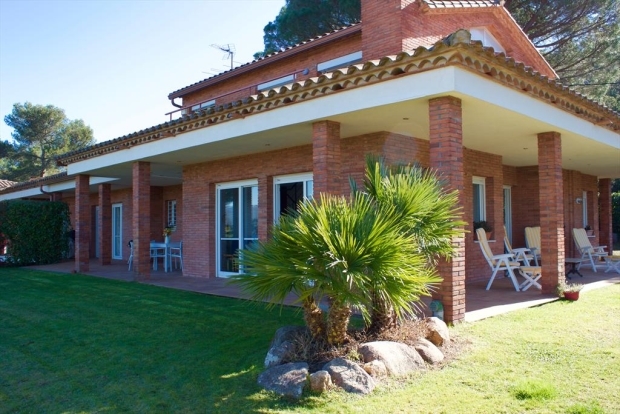 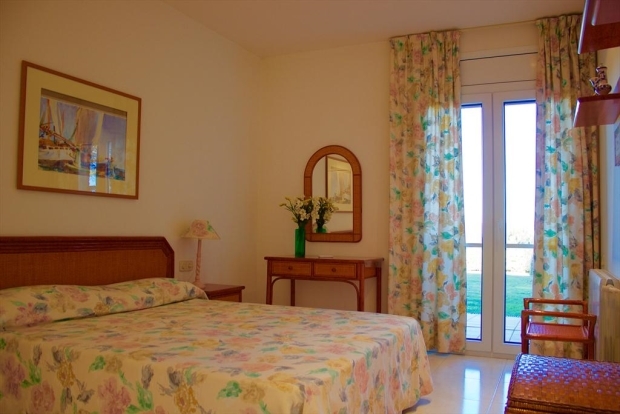 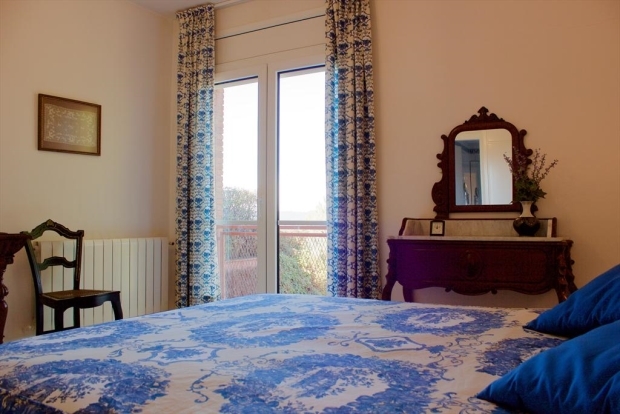 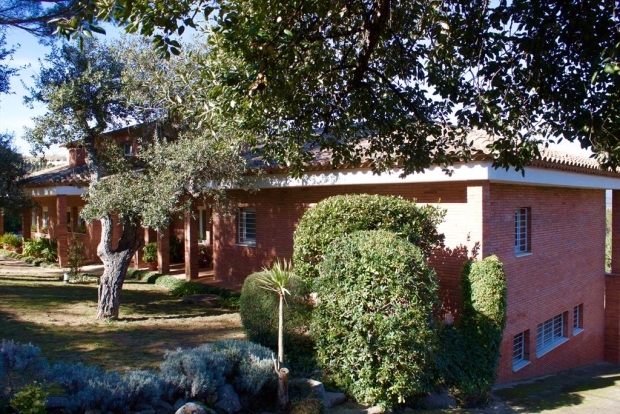 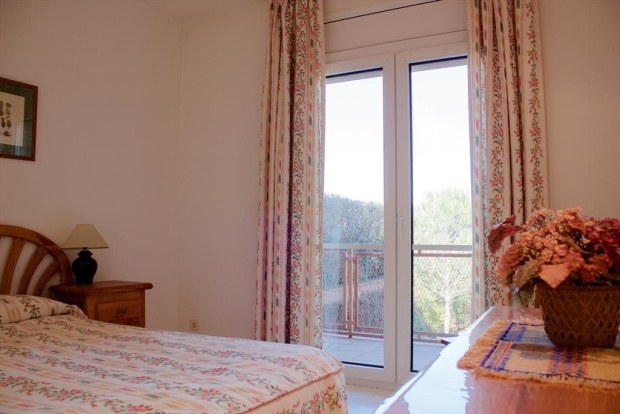 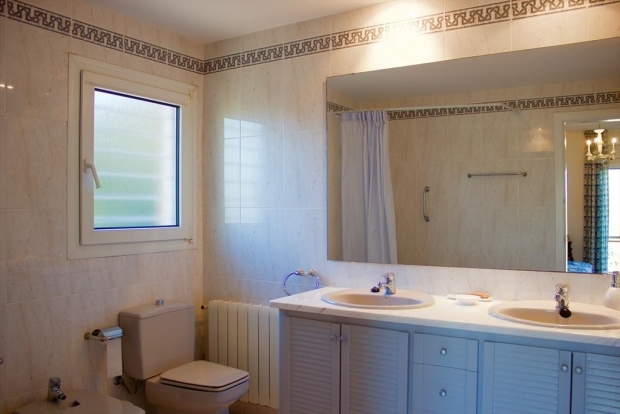 The villa is situated in a residential area and close to a golf course. 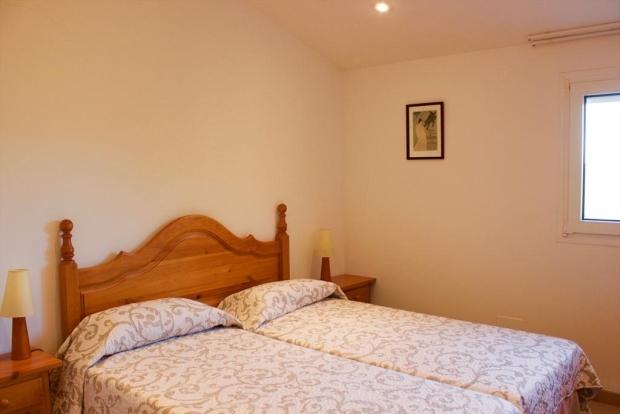 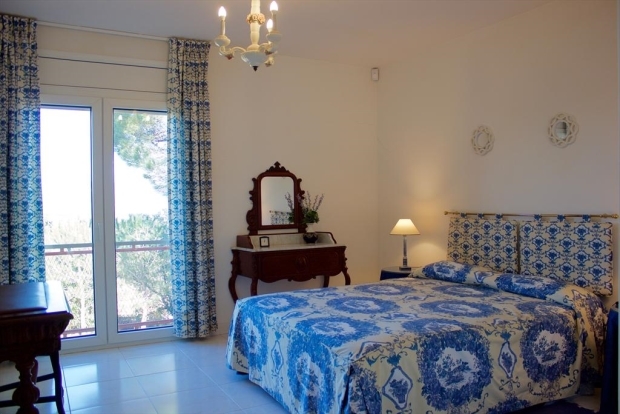 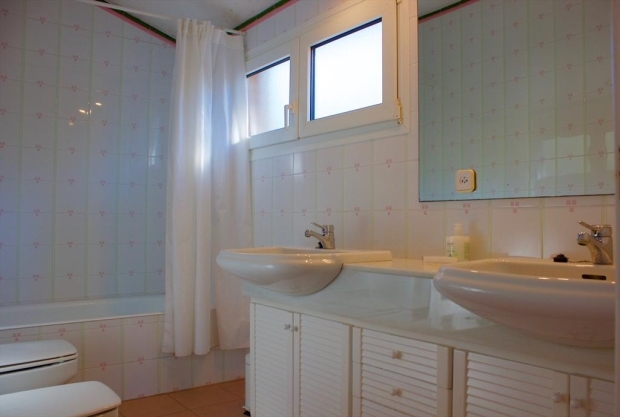 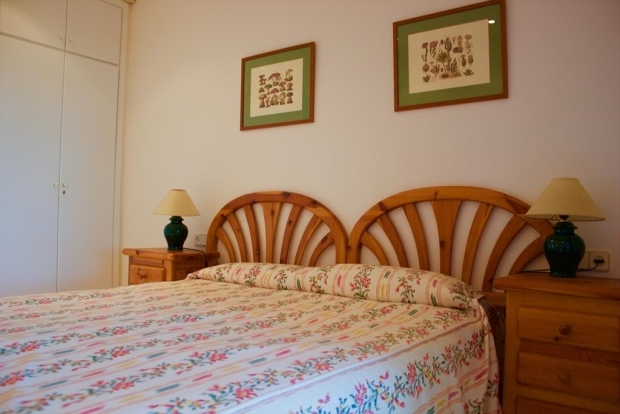 The villa has 6 bedrooms, 3 bathrooms and 1 guest toilet, spread over 2 levels and garage. 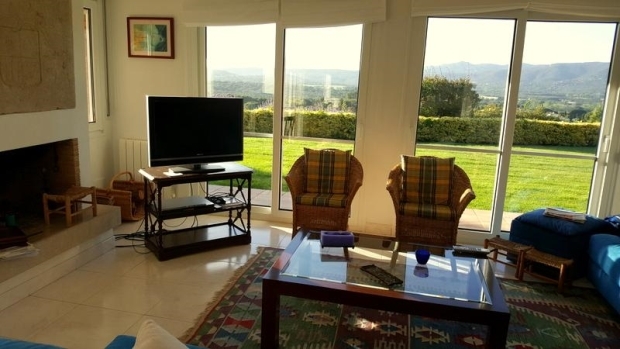 The vicinity of the beach, places to shop and sports activities makes this a fine villa to celebrate your holidays with family or friends. 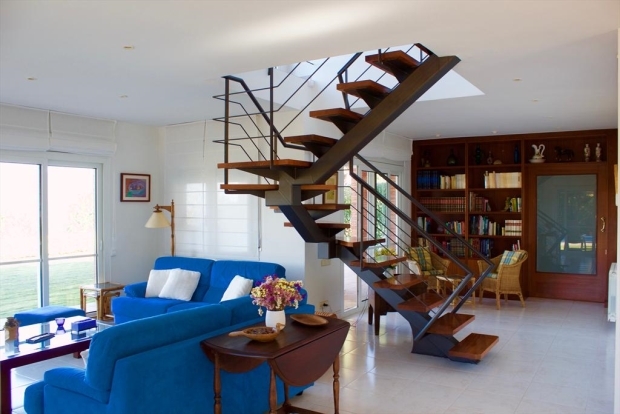 Quiet and relaxing area. 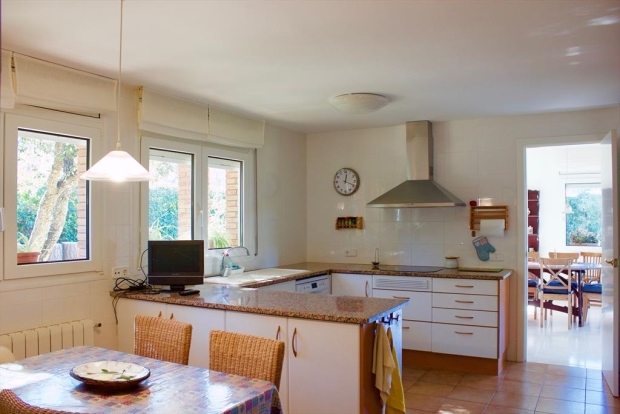 kitchen with induction cooker, electric oven, dishwasher, refrigerator, freezer, coffee machine and microwave.